a nice introduction to the foundations of applications of geometry to computer graphics and computer-aided design….A useful textbook. Mathematics students often ask where they can find a nice introduction to computer graphics and computer-aided design; professors have also been known to pose the same question. 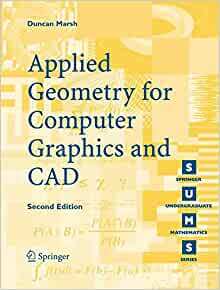 They will all find an answer here: Marsh’s book should guide them effectively and painlessly towards the applications of mathematics and geometry in graphics and CAD. This text has a novel approach to entry level computer graphics using homogeneous coordinates entirely. I struggled a bit with the use of these representations in perspective transformations. However once I got it I found the derivations and formulas to be easy to get and easy to use. The book has an extensive set of exercises with complete answers. I deducted one star because the theoretical aspects of homogeneous transformations could use expansion and simplification. This book is unusual in a way I wish more math and computer science books would follow. What you get is a brief description of the mathematics, the formulas that are useful, and a completely worked out example with illustrations. Although Computer is in the title there is no source code in the book. But the examples are worked out in such detail that is easy to translate them into code. And then you can use the numerical results of the examples to test each step in your own code. Beautiful. 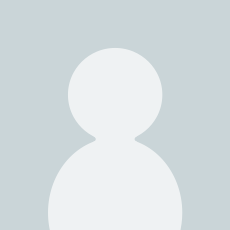 So, looking for parametric formulas for quadrics, or quaternions, or frenet frames for Bezier curves? You will find just what you need to make it work for you. This book is packed only with the most useful real-world math for computer graphics. What it leaves out is a lot of explanation as to why any of those topics may matter to you. It also avoids a lot of the theoretical math and extraneous factors that aren't essential to subject. This is also probably not the best tutorial for beginners but would be a great supplement to any of the core computer graphics textbooks. My recommendations are Practical Linear Algebra: A Geometry Toolbox to get you up to speed with the math and Computer Graphics Using Open GL (2nd Edition) to get your head oriented. Then you will understand why this book deserves 5 stars.